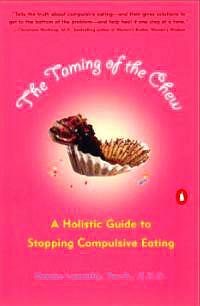 is to first understand the causes of compulsive eating holistically. can make personal changes on each of these levels. a loving and healthy respect for themselves and their bodies." eating and weight gain during the holidays. Front Porch" by host, John Walters. HRT Study, a compilation of experts discuss what to do now! whisper of their wisdom Some people make the sky more beautiful to gaze upon They stay in our lives for a while Leave footprints in our hearts, and we are never the same." patients that a 10% weight loss is a treatment success,"
School of Medicine in Philadelphia, Pennsylvania. label as 'another failed weight loss attempt.' "
was repeated in 2 separate sections of the consent form. Menopause! : With Marcie Richardson, M.D. A young lady came home from a date rather sad. She told her mother, "Jeff proposed to me an hour ago." "Then why on earth are you so sad?" her mother asked. "Well, because he also told me he was an atheist, Mom. He doesn't even believe there's a hell!" two of us, we'll show him how wrong he is." your body's needs, not the typical "One size fits all."